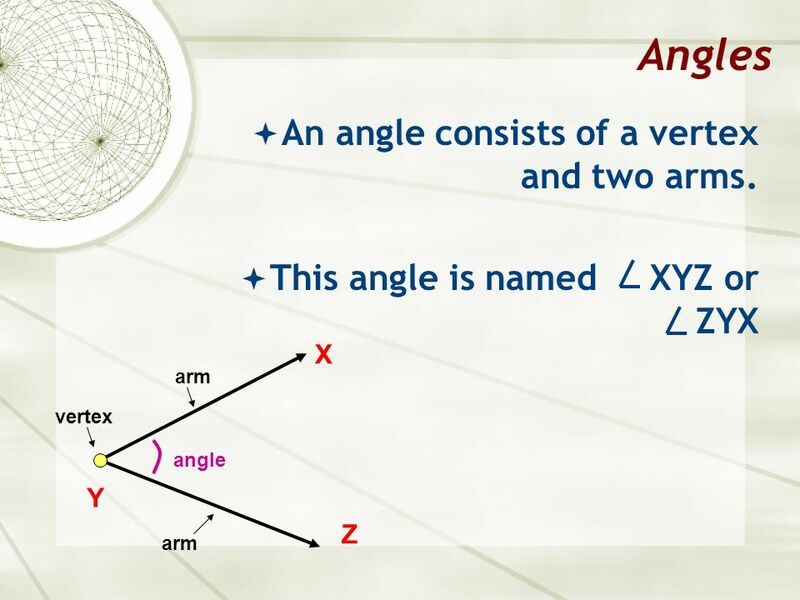 2 Angles An angle consists of a vertex and two arms. 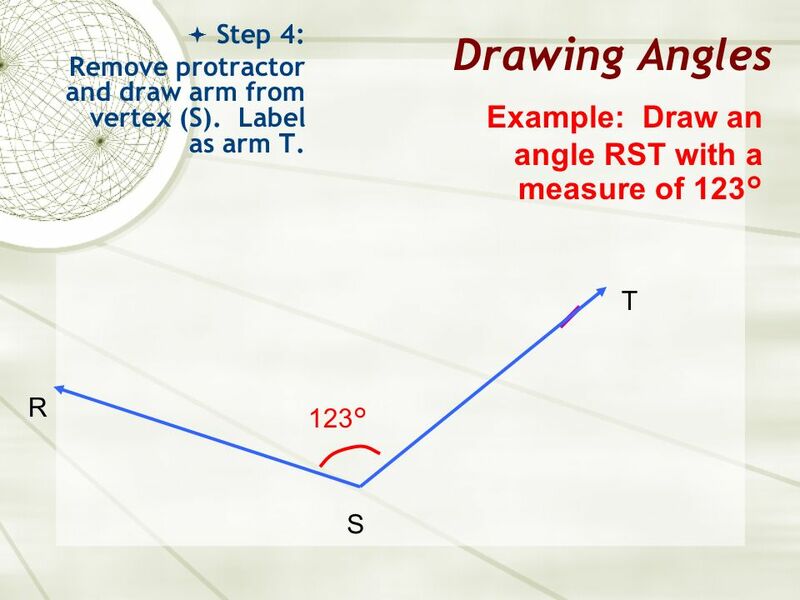 Download ppt "Investigating Angles Drawing an Angle"
Protractor Center Hole. 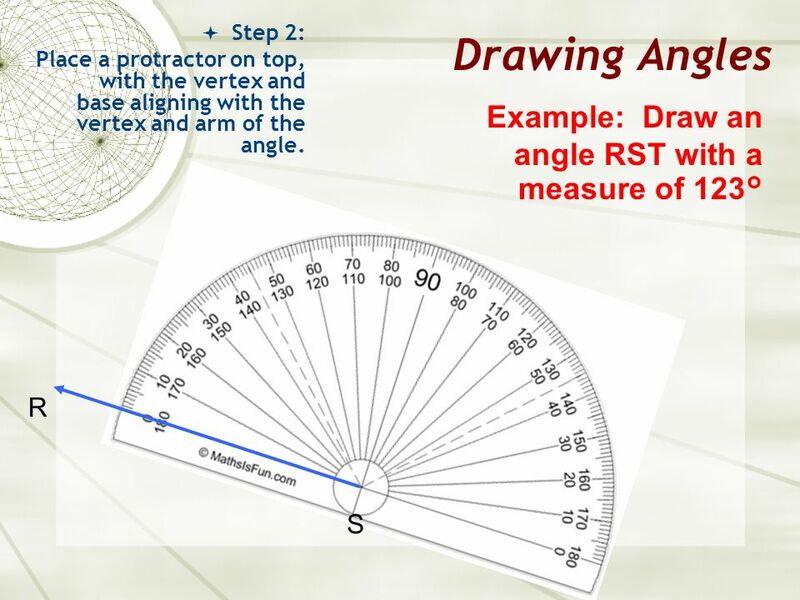 Measuring and Drawing Angles with a Protractor By Christine Berg Edited By V Hamilton. 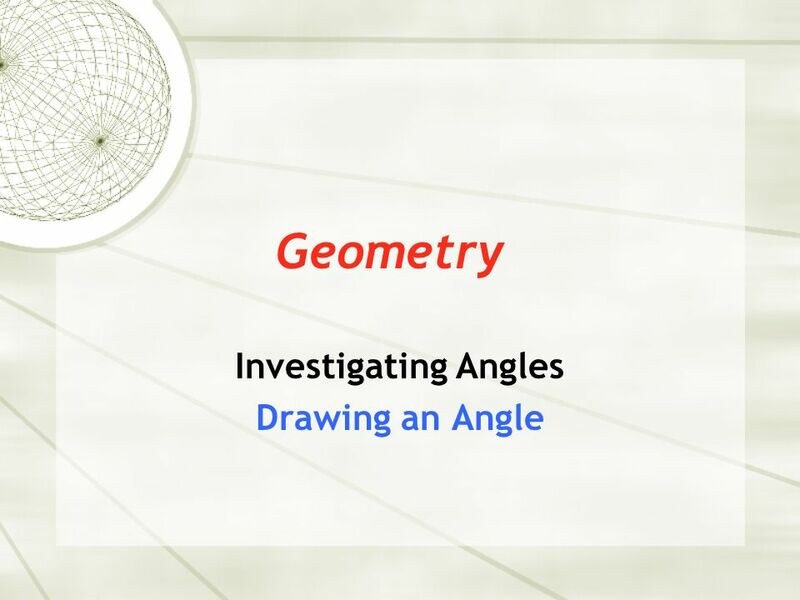 Geometric Constructions: Congruent Segments and Congruent Angles Geometry Mr. Zampetti Unit 2, Day 1. Materials: Marker, Paper, Ruler Activity: With a ruler, draw on a piece of paper. 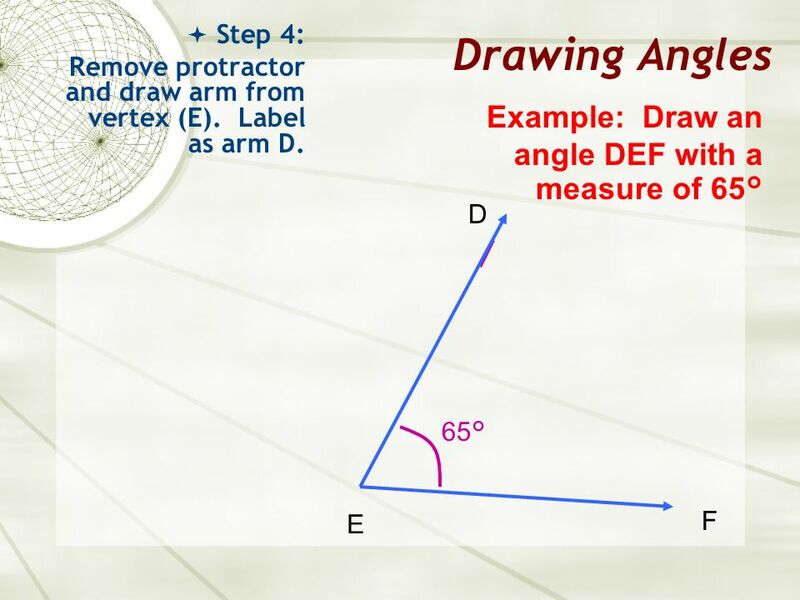 Fold the paper so B is on top of A.Label the point where the fold intersects. 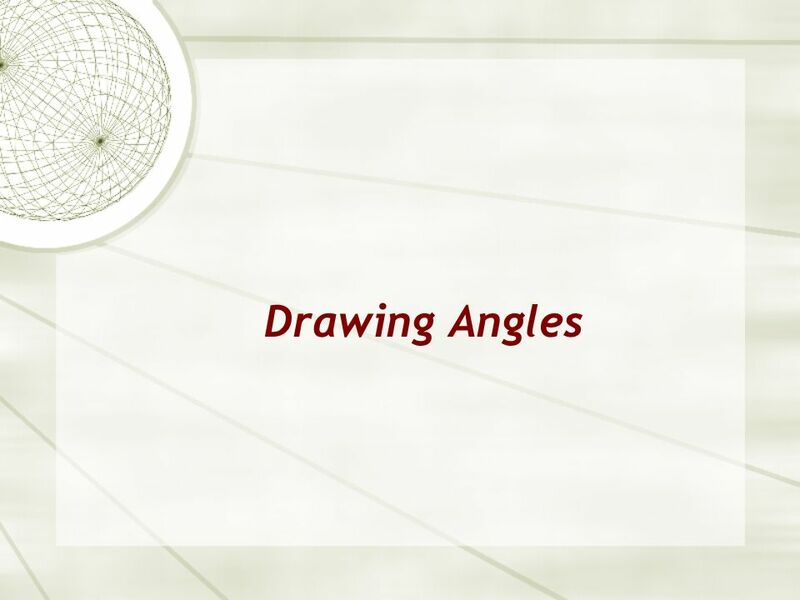 Math 20-1 Chapter 2 Trigonometry 2.1 A Angles in Standard Position Teacher Notes. 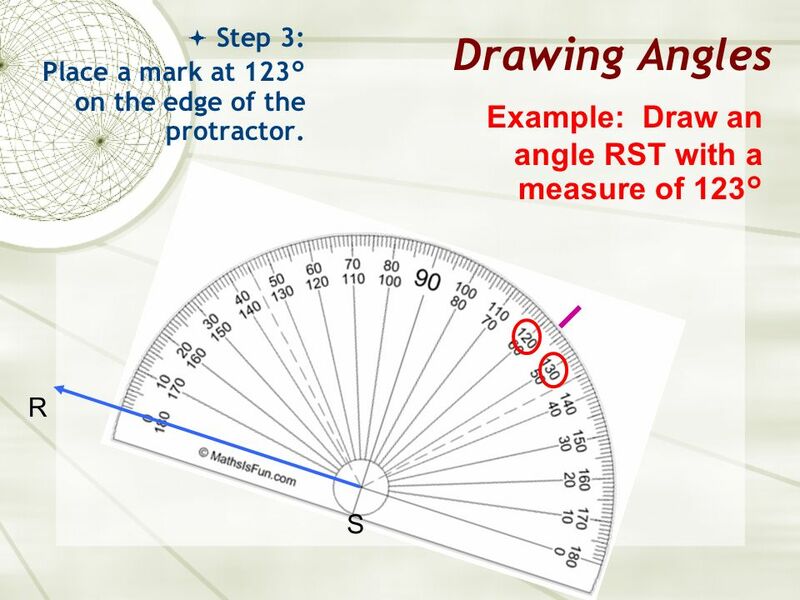 Angles Measures Angles Measures Objective: Identify angles & parts of angles Identify angles & parts of angles Use the angle addition postulate to find. 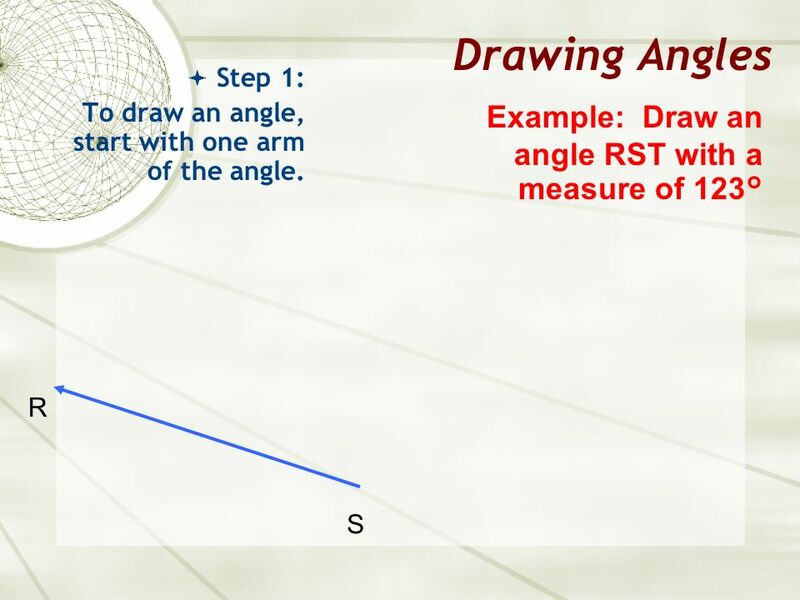  An angle is figure formed by two sides that meet in a point called a vertex  An angle is measured in a unit of measurement called degrees. Warm-up 1)What 1)What is the notation for angle with vertex at A and whose rays pass through points B and C? 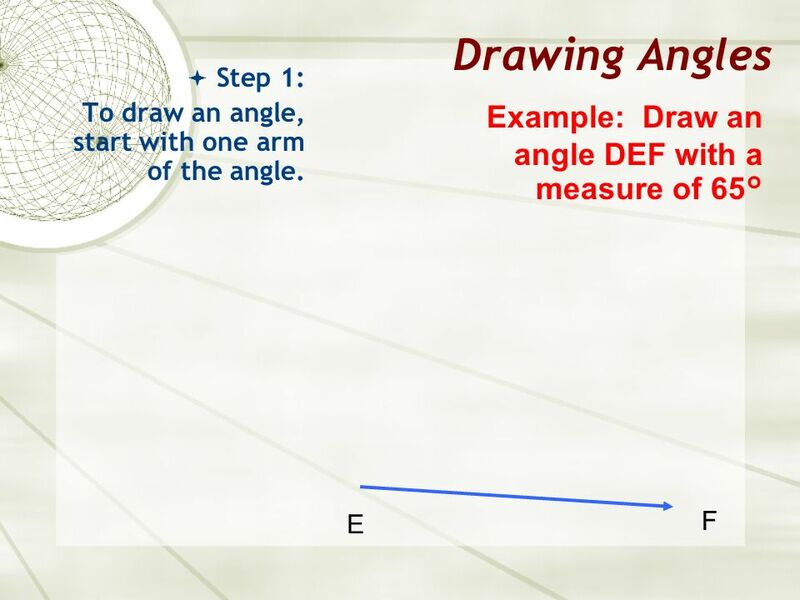 2)What 2)What is the definition of an angle? Angle Addition Postulates K. Suazo December 1, 2005. 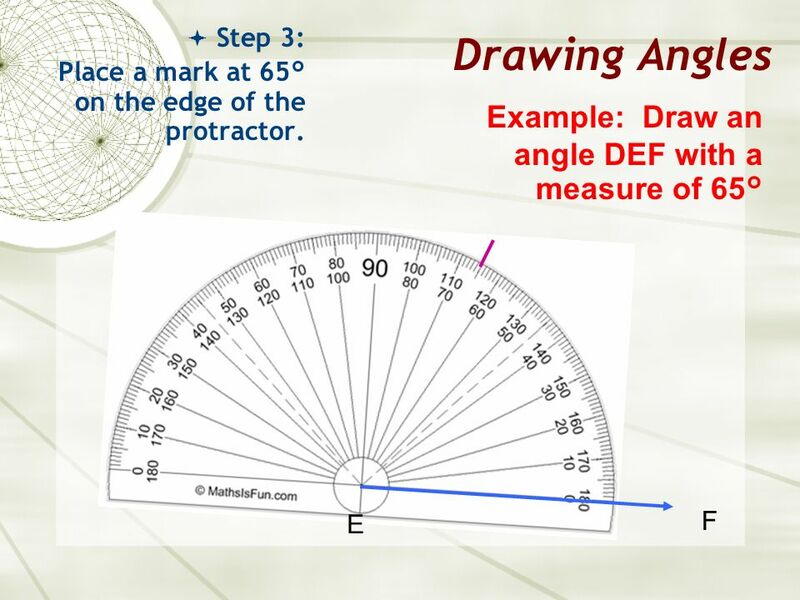 Today we will learn: Review how to measure angles with a protractor. About angles of incidence and angles of reflection, and their relationship. The proper. Properties of Special Triangles 4-5 Objective: To use and apply properties of isosceles and equilateral triangles. 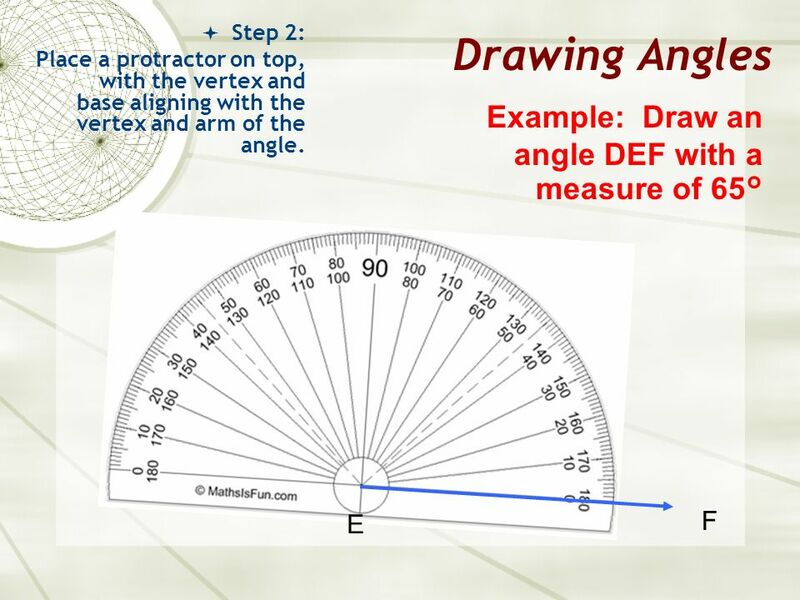 Math Homework Measuring Angles Worksheet (put worksheet in your HW folder) Individuals: You will need your Study Links & Student Journal for today’s class.